HeartWare International Inc., in Sydney, Australia says today it submitted a Pre-Market Approval application to the U.S. Food and Drug Administration (FDA) for its HeartWare Ventricular Assist System. 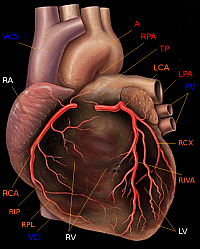 The system acts as a bridge to heart transplantation for patients with end-stage heart failure. Premarket approval by FDA is the required process of scientific review to ensure the safety and effectiveness of Class III devices. A Class III device is “one that supports or sustains human life or is of substantial importance in preventing impairment of human health or presents a potential, unreasonable risk of illness or injury.” FDA says premarket approval serves as a private license granted to the applicant for marketing a particular medical device. The submission includes data from HeartWare’s ADVANCE clinical trial, an FDA-approved Investigational Device Exemption study designed to evaluate the HeartWare system as a bridge to heart transplantation for patients with end-stage heart failure. In the study, 140 patients at 30 hospitals in the U.S. received the HeartWare device between August 2008 and February 2010. The final implant in ADVANCE was performed in February 2010, and the last follow-up evaluation at 180-days was in August 2010. Earlier results from the ADVANCE study showed that 92% of the patients with the device met the trial’s target objective, which was defined as alive on the originally implanted device, transplanted or explanted for recovery at 180 days, comparable to other mechanically supported circulatory devices. The HeartWare System has received a CE Marking in the European Union, but is not yet commercially available in the U.S.